There is an average of 120.5 guns for every 100 residents, but there aren’t effective policies to separate disturbed individuals from high-powered weapons. Can we change the inactivity of politicians and the political activities of the NRA? Can the media help more in the gun control debate? The contagion of mass killings that torments our nation shows no signs of abating. A steady rise in suicides involving firearms has pushed the rate of gun deaths in the US to its highest rate in more than 20 years, with almost 40,000 people killed in shootings in 2017, according to figures from the Centers for Disease Control and Prevention. But the continuing epidemic of gun deaths in every city of the country is hardly news. Despite data raising concerns, the carnage continues to worsen, while at the same time at all levels, inaction and silence rule over gun violence. Much of the public attention is on the intense tragedies of gun massacres, but everyday killings and injuries by firearms across all states account for the largest statistics of gun violence deaths at each year’s end. The slaughter of 11 club-goers in Thousand Oaks, California, proved that there aren’t effective policies to separate disturbed individuals from high-powered weapons and that police officers are rushing headlong into horrific violence in order to save lives. Proponents of stricter gun regulations fear for their safety in a country where there is an average of 120.5 guns for every 100 residents. Opponents of regulatory arguments also fear their safety but they argue that restricting the right to bear arms (Second Amendment of the United States Constitution) would leave citizens unable to protect themselves, and in a worst-case scenario, from the government. According to Christine Watkins of the National Council for the Social Studies, the cycle of policy-making in the case of gun control is characterized by outrage, action, and reaction that may lead to active engagement in political debate, but not necessarily to good policies. The issue of gun control is as much about “controquotes” as it is about “guns.” It is not simply a question of liking or disliking guns. Nor is it simply about liking or not liking control. It is—or should be—about judging the effectiveness of control, and particularly of government control as exercised through regulation. That’s where all the problem arises. The NRA’s Institute for Legislative Action and its political action committee, the NRA Political Victory Fund, placed $25 million worth of television ads through the same ad-buying executives who also arranged spots for Trump’s campaign in the final weeks of the 2016 presidential election. That ensured that “spending by both the NRA and the Trump campaign would be complementary and advance a unified, coordinated election strategy,” according to a complaint by the Campaign Legal Center, which favors greater regulation of money in politics, and the Giffords Law Center to Prevent Gun Violence, a gun safety group. In May 2018, President Donald Trump delivered a strong message of support for the National Rifle Association at its annual meeting, as gun-rights advocates regrouped in the wake of the mass shooting at Parkland’s high school. Trump’s address in Dallas was his fourth in a row to the group’s annual convention. For as long as the top organization of the gun lobby continues to take part in decades-long, massive political campaigns, they will keep altering politicians’, the courts’, and Americans’ views of gun rights and the Second Amendment. No particular, comprehensive gun control law will pass significant restrictions on firearms and access to guns. When the National Rifle Association talks, large number of politicians listen. Those politicians can’t do much when the NRA aims to block any new gun legislation in the wake of mass shootings. There’s a large number in Capitol Hill both Republicans (684 in 2018) and Democrats (24 in 2018), getting direct/indirect financial support from the NRA. According to federal election data compiled by the nonprofit Center for Responsive Politics, eight lawmakers have been on the receiving end of at least $1 million in campaign contributions from the NRA over the courses of their careers. Florida Republican Sen. Marco Rubio is among them. 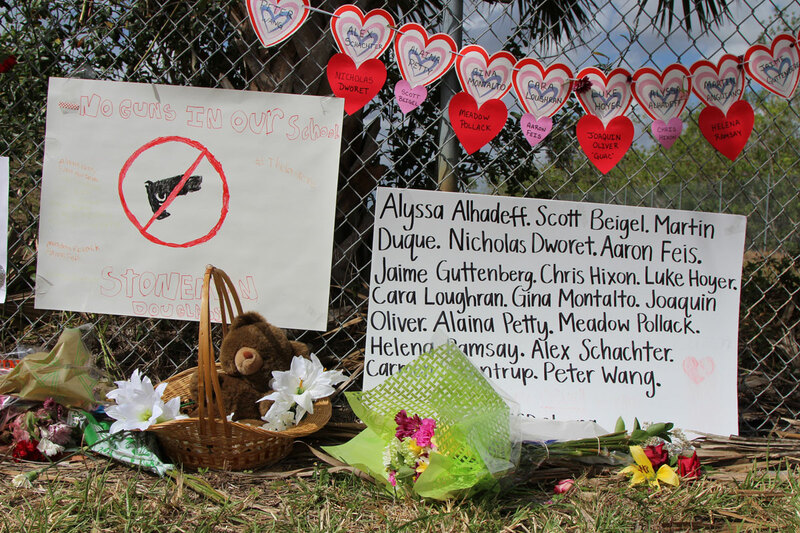 We are days away from the first anniversary of the Feb. 14’s Marjory Stoneman Douglas High School mass shooting. But before Parkland was the Cleveland Elementary School in Stockton, California, in 1989; Columbine, Colorado, in 1999; 20 children and six adults at Sandy Hook Elementary School in Newtown, Connecticut, in 2012; 49 at the Pulse nightclub in Orlando, 2016, and 58 at a country concert in Las Vegas, 2017. Every day, hundreds of Americans are killed with guns and hundreds more are shot and injured. Just a few days ago, Zephen Xaver, 21, fatally shot five women at a small-town bank in Sebring, Florida. The slayings did not appear to be part of a robbery, and Zephen Xaver had no apparent connection to the SunTrust branch or the four employees and one customer who were killed. A couple of days after that shooting, authorities released the person of interest and named the woman and two men who were killed at a home near Orlando two days earlier. Deputies found the three victims with apparent gunshot wounds in the garage, kitchen and a home office in a house in Chuluota. 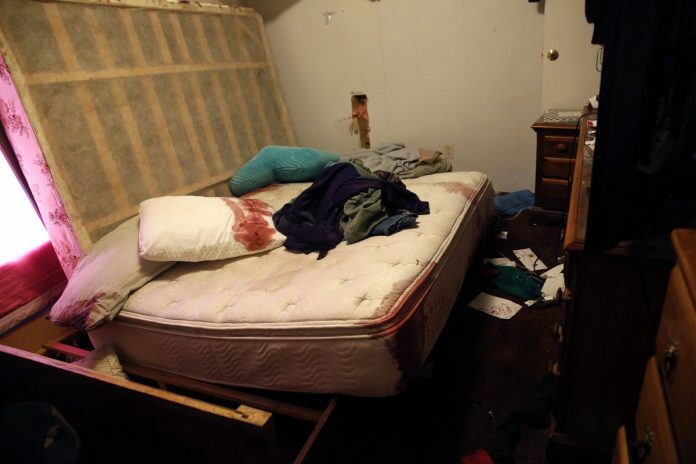 There were no signs of a break-in, leading investigators to believe the victims knew the killer. Several weapons were found in the home, but some appeared to be missing. In the same week, 21-year-old Dakota Theriot shot and killed three people in Louisiana’s Livingston Parish before driving to neighboring Ascension Parish and shooting his parents, Keith and Elizabeth. And the news of killing and injuries continue across different towns and cities in the country. No amount of carnage, no research showing how gun control saves lives seems to change an American reality. So, can we change the inactivity of politicians and the political activities of the NRA? Can we stop lobbying methods, campaign spending, maintenance plans, and bills lobbied at legislative, executive, and judicial levels? The answer has always been: “most likely not,” but Parkland surviving students became activists and took on the NRA and rallied young adults across the country to register and vote against candidates opposed to gun control. Though “it’s going to be a long road” as one of the most vocal students, David Hogg has said, there has been victory over the National Rifle Association right here in Florida, a state that has long done the gun-rights group’s bidding, e.g. the Florida legislature’s vote for new firearms regulations and other recent gun-violence prevention measures. And the media certainly can too. The media has a powerful effect on the perception people have of the world. If there’s a constant coverage of daily shootings and what lawmakers representing districts affected by such events are doing, it will definitely help people’s full understanding of their experiences of violent acts, it will definitely help unite the disproportionate number of viewpoints on gun control towards a solution. American political dramas are nothing new, but this presidency has taken them to another level. With President Trump facing multiple scandals since he took office, with the Mueller probe of chief concern, hardly any gun control legislation will be procured out of good will. Besides, he is too ‘friendly’ with the NRA and has neglected the effect of more regulations and their impact on the gun control debate. After the mass shooting in Parkland in February, Congress did not act. But state legislatures did, passing 69 gun control measures this year — more than any other year since the Newtown, Conn., massacre in 2012, and more than three times the number passed in 2017. That was mostly in part because parkland surviving students became activists and spoke, and took the national debate on gun control to the mainstream media. So, let’s not forget that inaction and silence rule over daily gun violence in this country. Killing over a food service argument at a McDonald’s restaurant is not Second Amendment. Killing loved ones, relatives or parents over disagreements is not Second Amendment. Killing for getting fired from work is not Second Amendment. Assaulting police officers for doing their job is not Second Amendment. Racism is not Second Amendment. Killing innocent kids at school is not Second Amendment. Road rage is not Second Amendment. Mental issues are not Second Amendment. Jealous spouses are not Second Amendment. Robberies are not Second Amendment. Let’s start talking stricter gun control laws and procuring change.